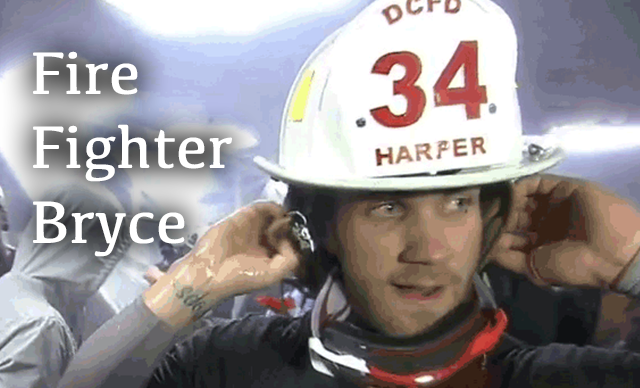 Bryce Harper was all over the locker room celebrating the Nats NL East Championship and he was sporting a custom #34 HARPER fire helmet. Where did Bryce get the hat? "A DC firefighter hooked me up"